The basic texture of the minecraft has a bit of rustic feeling, and for that reason Minecraft is very popular and loved by a lot of people. 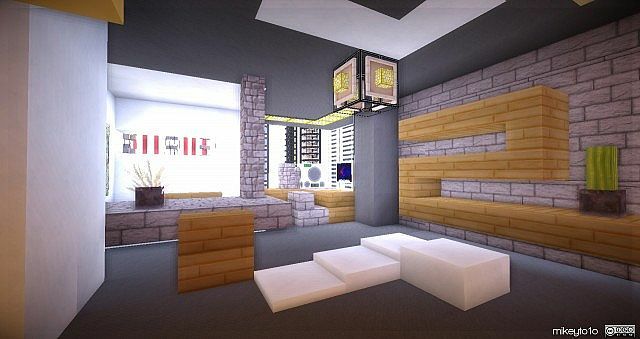 Memory’s Modern Resource Pack adds into your Minecraft a new Modern textures perfect for the lovers of the Metrolopolis and modern lifestyle. Right after you have installed this Resource pack you will discover a lot of wide variety of colors and shades and brand new bricks made from concrete that are perfect to build huge skyscrapers or your own Minecraft city. Memory’s Modern Resource Pack is one of the best looking packs for Minecraft just because it uses the 16x resolution which is ideal for every computer, whether you have an old one or a powerful one.